Regarded as one of the most delicious sweetcorn series available. 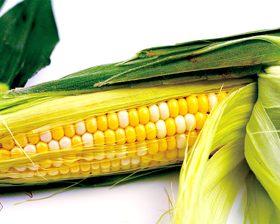 Sweetcorn Cook's Delight produces strong plants with succulent 20cm cobs with 'extra tender', sweet, bi-colored golden-yellow and an occasional white kernels giving instant eye-appeal. Juicy and tender if eaten raw or delicious for 'corn on the cob' cooked in the normal way. Sow seeds 4cm deep in 7cm pots of seed compost. Place in a propagator or seal container inside a polythene bag and keep at 18-20C until germination which takes 7-10 days. Seeds can also be sown direct outdoors once the soil has warmed, sow two seeds, 4cm deep, 30cm apart, and in rows about 45cm apart.